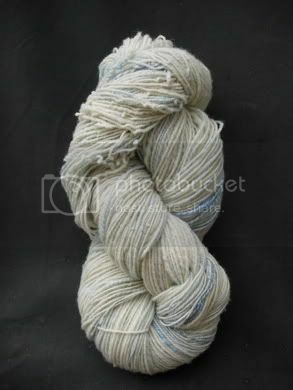 Better Than Yarn: Obsession is Normal, Right? Hi, my name is Jasmin and I'm a spinning addict. I'm not saying that knitting isn't soothing, or that I've abandoned my knitting completely, but working 10+ hour days on a keyboard makes my hands hurt in a way that knitting just aggravates it more. Before spinning: Waking up multiple times during the night, blood sugar crash at 2AM because I'm crazy stressed out. After spinning: Sleeping like a baby. Dreams about the oncologist from House. 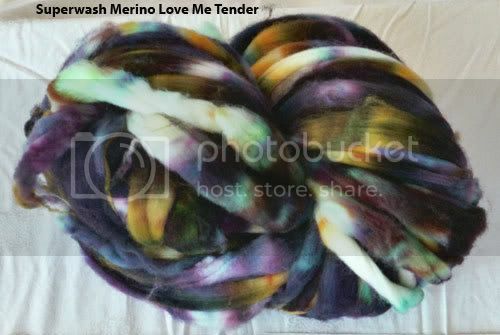 I spun up the two bumps of roving I got from Serendipity Fibers at Maryland Sheep & Wool (2006), and was amazed at how much grass matter there was in them. When I started spinning them, I assumed it was because of my own carelessness and the very out-doorsy nature of the festival, but the bumps were wound very tightly, and I still found tons of yuck in the very center of the bump. 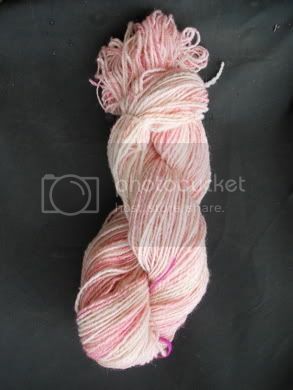 It was washed, but there was still a significant amount of lanolin left in the roving- which is okay with me, because I like to spin "in the grease" (because I am a gross and disgusting person, after all), but the grass matter was way more than I would have liked. 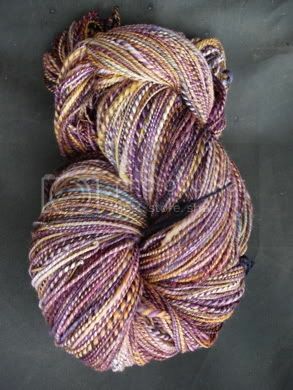 It also turned out very pretty, despite my fear that my spinning (which I'll admit is elementary at BEST) was going to make it look like [Ally's words] "Yarn vomit."